Last week EMEAstartups.com presented EduWatch, a real-world watch and a mobile application that help children learn how to tell the time. 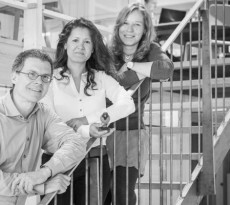 EduWatch is being developed by Savivo, an educational games company based in Denmark. 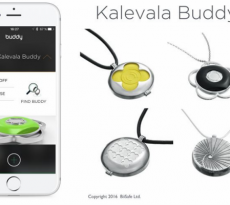 Savivo has launched an Indiegogo crowdfunding campaign to raise the capital needed for the production of the watches. 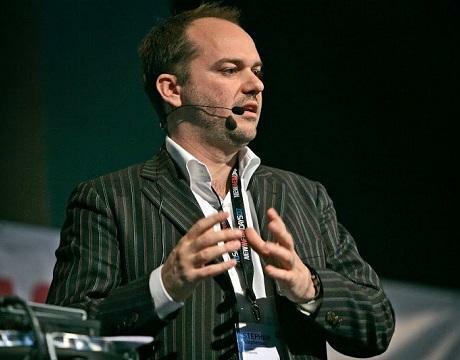 EMEAstartups.com has contacted Stephan Stephensen, Savivo’s CEO & Founder and an e-learning expert, in order to find more about their new venture and the state of e-learning industry. EMEAstartups.com: Stephan, can you give us an overview of Savivo? When did you start the company, with what in mind, what progress you’ve experienced so far? Stephan Stephensen: I have been always fascinated how new technologies are changing the way we interact and learn. My work in the field of digital education started with a program that taught refugees how to learn Danish. My next applications for English and Math were focused on the primary age group. And this is where I found my true passion: creating program for children, where you can be much more creative, adventurous and use storytelling and gameplay to teach. Savivo became of the pioneers in digital education in Denmark. Our mission is to bring back the magic of learning by playing. Our goal is to use the new digital technologies and to give kids the opportunity for visual learning, which is not just click-read, but it is click – experience and storytelling. In the 2000’s we saw very quickly the change in teachers’ mentality and how schools have started implementing digital education inside the curriculum. As one of the pioneers, we have pushed and created the digital niche on the educational market. Today we have over 35% of the Danish schools and we are growing internationally with resellers on 4 continents. EMEAstartups.com: What is the size of the e-learning market in Europe and globally? What trends do you see in the industry? Stephensen: According to the elearningindustry.com website today e-Learning is a $56.2 billion industry, and it’s going to double by 2015. But this is only going to grow. The future of education is digital: that is a fact. The biggest trend that we will see is that e-learning will be incorporated in any school and in any subject. Pen and paper, books and school bags will be accompanies by the future mobile devices that are becoming more advanced daily. In the same time, it is important to understand that digital education is not something that is going to substitute traditional teaching, but compliments it and makes it more digitally interactive. E-learning has been one of the biggest game changes for the way we teach our children in 21st century. EMEAstartups.com: Kids in our days are forming the first generation being around technology, connectivity and mobile devices since their birth. How do you see this affecting the future generation, what risks are at stake and how can parents be assured their kids are using the “good part” of technology? Stephensen: Of course parents need to monitor and guide their kids towards the right content. And publishers need to ensure high-quality educational projects. However many traditional-turned digital publishers take too long before they publish. They undergo the same process as print publishing, where everything needs to be proofread a 100% before put it is on paper. If the traditional publishers use the same methods for digital learning, they tend to make the process too long. Before they even finish the content, it is already old and outdated. The digital market is a fast and ever changing environment. We need to be better at changing as we are producing the products and test on the go. We also need to make sure that traditional publishers do not control e-learning development, because they don’t think “mobile”. Often you can see print books that are transform to e-books and that are referred as “e-learning” products. We need to get away from traditional books structure, from the very linear approach from page 1 to page 2. Digital education is not just changing the format. It is about interaction, adaptive learning, progress, feedback. It is about children learning by playing and enjoying it. EMEAstartups.com: Tell us a little bit about your new venture, called EduWatch. What is it about and how did you come up with it? Stephensen: The Mingoville FunClock App has a very concrete goal: it is teaching children how to tell time. After a day, the results are clear: do you know how tell time: yes and no? The feedback for the Mingoville FunClock App from both parents and teachers has been overwhelmingly positive. One of the reasons is that the Mingoville FunClock App is very intuitive and children learn on their own by simply playing. I tried the game with my daughter and after a day she could tell the time. However just after a month, she has already forgotten some of the things, because she has not practiced with a watch on a daily basis. That gave me the idea to combine the Mingoville FunClock App that is teaching children, how to tell time with a real watch. 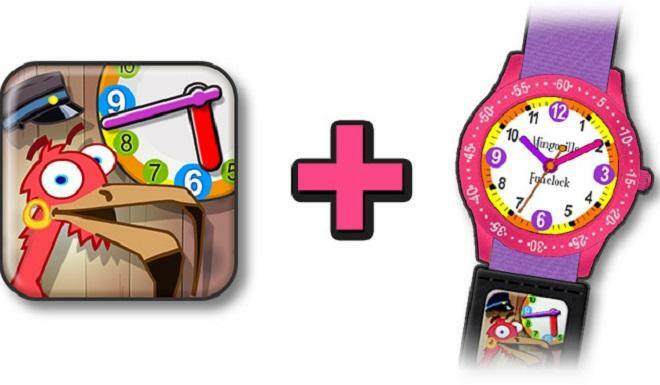 That is an easy bundle for the parents: the kids learn with the app and practice with the watch. Even more: the watch can be even seen as a reward. When the child knows how to tell time, it gets a present: the very first watch and practice with it. Learning how to tell time: Mission accomplished! EMEAstartups.com: The previous week you launched an Indiegogo campaign to raise the capital needed to produce the #EduWatch. 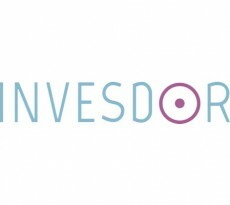 Why crowdfunding in the first place? Stephensen: Crowdfunding is the best way to find out if we can talk directly to our consumers. The traditional channels to produce the watch take a lot of time: especially building a network of store resellers. If the Indiegogo #EduWatch project works we can send the watch packages directly to our customers and if it doesn’t the contributors will at least get the educational games no matter what. It is a win-win situation. Plus everyone cares about children’s education so why not crowdfunding? EMEAstartups.com: You’ve also said that your goal is to prove that Edutainment can be as successful in crowdfunding as high-tech or entertainment-only game campaigns. How big is the Edutainment mobile applications market and what is their share in the general mobile gaming market? Stephensen: There is no doubt that when you talk about gross revenue of gaming apps vs. educational apps: gaming apps’ profits are much bigger. But they are also designed with the soul purpose to get the most money of each user. Whereas in the education industry, we are bound by different ethic standards, which mean we have to be extremely transparent what is the actual cost, protect kids from accidental in-app purchase with parental lock. Our priority is the safe educational environment for kids. From our experience, we know that parents are keen on limiting the playtime for games, but if they are education apps, kids are allowed to spend more time with them. Therefore the advantage of e-learning games is that the time spent is much longer. And let’s not forget: digital education is learning by playing, so children not only acquire knowledge, but they also enjoy the process. And that is something that makes e-learning games preferred both by parents and children. But we also need some help from the industry app store leaders like Apple and Google. When they curate the apps, they need to make sure all the pure Edutainment apps do not get in the same category as the real educational apps. This is a big problem today for schools, teachers and parents.